Dressings & Sauces – Coming Soon! Fish & Seafood – Coming Soon! 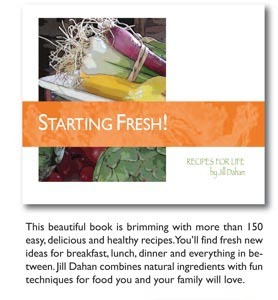 Food For One – Coming Soon! Savory Snacks – Coming Soon! Take Away Food – Coming Soon! Veggie Sides – Coming Soon! Summer holidays are finally here and having all my boys home plus their friends requires quick, easy, delicious and nutritious food to feed them so I can enjoy all the outdoor activities with them and not be stuck in the kitchen! Voila! 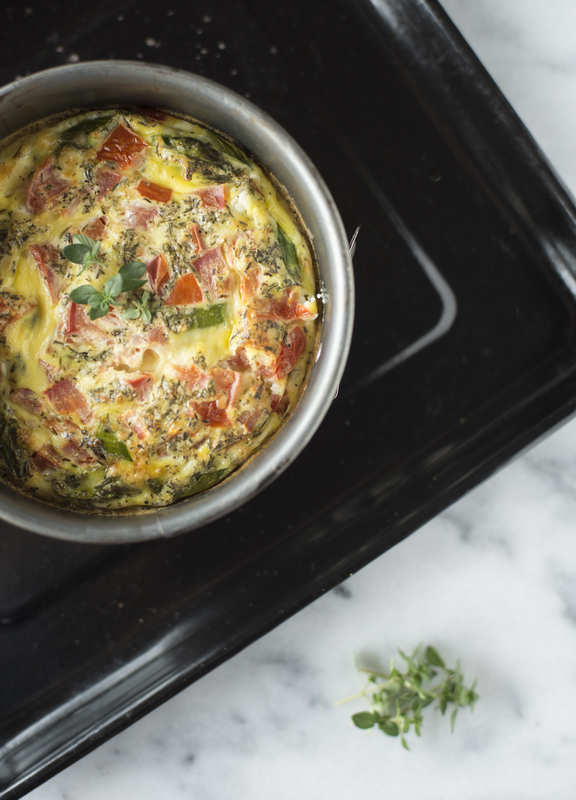 This frittata is not only incredibly fast to pull together but it is a great way to use up those farmers market stragglers lurking in the bottom of the veggie drawer. 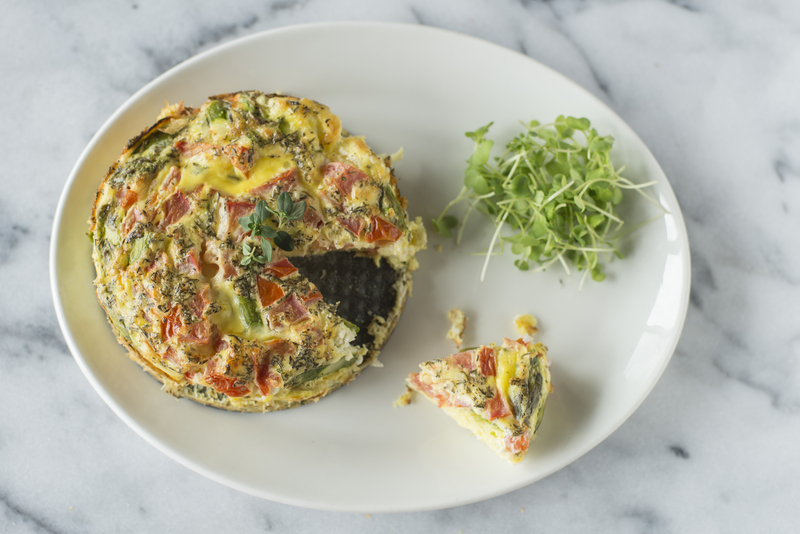 Frittatas are easier than quiches because they have no crust. They can be served hot or room temperature so they are not just great for breakfast but also for a picnic lunch or a casual al fresco dinner too. Eggs are a great supply of choline which have been shown to have lots of brain benefits and fear not the yolks as they are not the cholesterol villians they were once thought to be but instead hold heaps of nutrition and flavor not to be missed. I love a creamy local goats cheese melting throughout but you can use any tasty cheese you have on hand. So break an egg and get cracking! This little gem will become a summer staple in your house! Place eggs, thyme, water, and half the goats cheese in a blender and blend on high until combined. Grease a round 9 inch pan with a little oil and add the red pepper and onion slices. Bake at 375 for about 10 minutes until softened. Remove from the oven and toss in the spinach and tomatoes and stir to wilt. Pour the egg mixture over the top and bake for another 10-15 minutes until just set in the middle. Top with the rest of the goats cheese and parmesan and then return it to the oven for about 3 minutes until the cheese is just melted. Cut into wedges and serve hot or room temperature. This recipe can be done in muffin cups for individual portions and just reduce the cooking time by half.